Vandeleur, born in 1763, was the son of Richard Vandeleur (died 1772) and Elinor, daughter of John Firman of Firmount. The Vandeleurs, of Dutch origin, came to Ireland in the seventeenth century, and settled at Kilrush, County Clare, where they became the principal landowners. Vandeleur’s received a commission as ensign in the 5th Foot in December 1781, and was promoted to be lieutenant in the 67th Foot in 1783. He served with his regiment in the West Indies, and, exchanging in 1788 into the 9th Foot, was promoted to captain on 9 March 1792. In October of the same year he again exchanged into the 8th Light Dragoons, and was promoted to major on 4 May 1793. In April 1794 Vandeleur went with his regiment to Flanders to serve under the Frederick, Duke of York, where he took part in the principal actions of the Flanders Campaign, and accompanied the army in its retreat across Holland to Bremen. On the embarkation of the British army for England in April 1795 Vandeleur remained with a small corps under General Dundas until December. In August 1796 he went to the Cape of Good Hope, and served in the operations against the Dutch under Generals Craig and Dundas. On 1 January 1798 he was promoted to be lieutenant-colonel in the 8th Light Dragoons. In October 1802 Vandeleur went with his regiment to India, and served as lieutenant-colonel with local rank of colonel in command of a brigade of cavalry under Lord Lake in the Second Anglo-Maratha War 1803–1805. At the Battle of Laswari on 1 November 1803 Vandeleur turned the enemy’s left flank and took two thousand prisoners, receiving the thanks of Lord Lake. He was similarly distinguished in November 1804 for the cavalry affair at Fathghar, where the Maratha chief Holkar was surprised and defeated. Equally brilliant were his charge and recapture of artillery at Afzalghar on 2 March 1805. In 1806 Vandeleur returned to England. On 16 April 1807 he exchanged into the 19th Light Dragoons, and on 25 April 1808 was promoted to be brevet colonel. On 4 June 1811 he was promoted to be major-general, and appointed to command an infantry brigade of the Light Division in the Peninsula War. Vandeleur led the division, after Craufurd received his mortal wound, to the assault of the breach of Ciudad Rodrigo on 19 January 1812, when he was severely wounded. He nevertheless took part in the Battle of Salamanca on 22 June. In June of the following year he intercepted a French division and cut off one of its brigades, taking three hundred prisoners and forcing the remainder to disperse in the mountains. 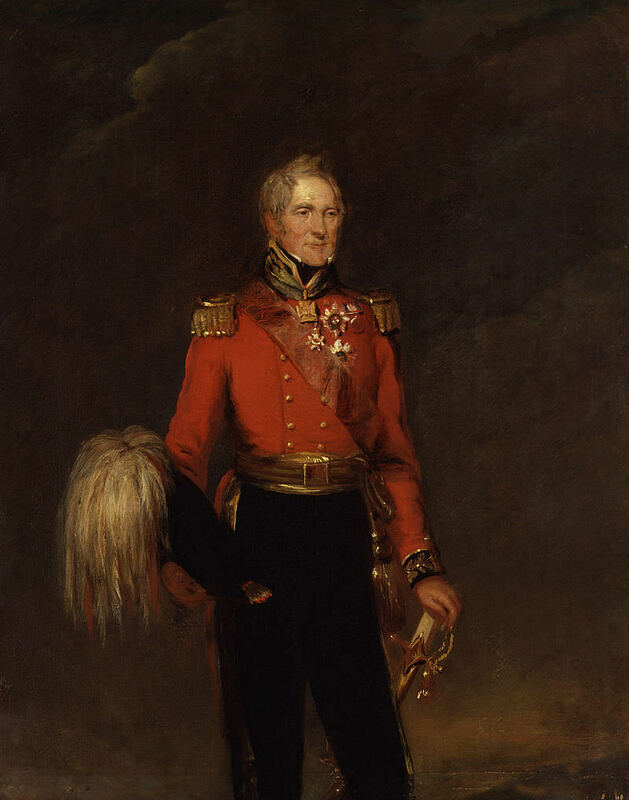 On 21 June 1813 he was at the Battle of Vittoria, and in the following month was appointed to command a brigade of light dragoons under Sir Thomas Graham (afterwards Lord Lynedoch), and later under Lord Niddry, and he was engaged in all the operations of that column, including the Battle of the Nive. At the close of the Peninsula War he was selected to conduct a division of British cavalry and artillery from Bordeaux to Calais. In October 1814 Vandeleur was appointed to the staff of the British army in Belgium. He was given the colonelcy of the 19th Light Dragoons on 12 January 1815. 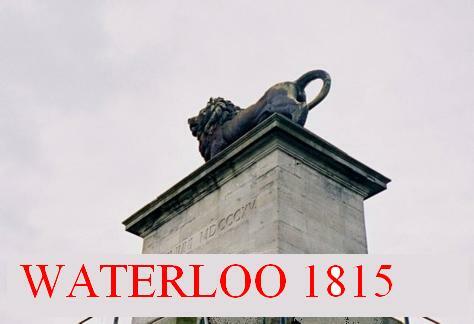 He commanded the 4th Cavalry Brigade, consisting of the 11th, 12th, and 16th light dragoons, at the Battle of Waterloo, and from the time that The Earl of Uxbridge was wounded and had to leave the field he commanded, as next senior, the whole of the British cavalry at Waterloo, and during the advance on Paris until Louis XVIII entered the capital (on 8 July). For his services in the Peninsula and Belgium he was made a knight-commander of the Order of the Bath (military division) on 3 January 1815, and received the Army Gold Medal with clasps for Ciudad Rodrigo, Salamanca, Vittoria, and the Nive, and the Silver Waterloo Medal. He was also nominated a knight of the second class of the Russian Order of St. Vladimir, and a commander of the Bavarian Order of Maximilian Joseph. The 19th Light Dragoons were disbanded in 1820, and in 1823 Vandeleur was given the colonelcy of the 14th Light Dragoons, from which on 18 June 1830 he was transferred to the colonelcy of the 16th Lancers. He was promoted to be lieutenant-general on 19 July 1821, and general on 28 June 1838. He was made a Knights Grand Cross of the Order of the Bath in 1833. He died on 10 December 1849 at his house in Merrion Square, Dublin. Vandeleur married a daughter of the Rev. John Glesse in 1829 and the couple had two children, a son and a daughter Ellen who married Colonel Richard Greaves (for some twenty years assistant military secretary to the commander of the forces in Ireland, and afterwards colonel of the 40th Foot).